Since we broke ground in 2003 on the first transit-oriented project, five additional projects have been built and more than 25 residential units in existing buildings have been added or renovated. In all, almost 400 new units have been created and plans are in the works for more in 2017. The residents in these projects, along with people already living in or at the edge of the downtown, have fostered a dynamic atmosphere in which to shop and dine, take a walk, sit on a bench, meet friends or enjoy events. We originally saw these downtown residents as great for business, but we didn’t fully appreciate the greater value they would bring to the community. 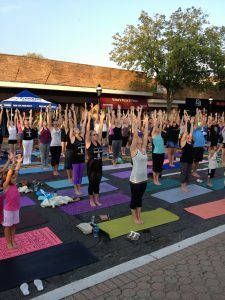 The diversity of downtown residents – young singles and couples, empty nesters from Cranford and nearby towns, older residents and business owners – have made downtown Cranford a more interesting place. As a result, the Downtown Management Corporation has made walkability, pedestrian safety and public space improvements its key priorities for 2017, in order to ensure the downtown business and residential neighborhood is safe, attractive and inviting. In 2000, Cranford prepared a Vision Plan that took a comprehensive approach to development and other improvements. We know we can’t ever take -our eye off the big picture or disregard any of the puzzle pieces critical to success, so the township and DMC continue to rely on that Vision Plan as the basis for discussions and strategic planning about development, parking, traffic, zoning, pedestrian safety and public-space improvements – all of which affect downtown residents. 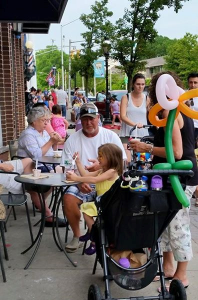 We all need to remember that people who live downtown are just like other township residents: They care about the safety, appearance and life of their neighborhood. 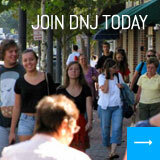 We plan to engage residents in more activities and opportunities so they can share their concerns and ideas. So while we tend to talk in industry buzzwords and descriptions like TOD, Transit Villages and SIDs, we should see the bigger picture. Downtowns are more than a place to shop, dine, visit and work; more than the great-looking new project and the investment. 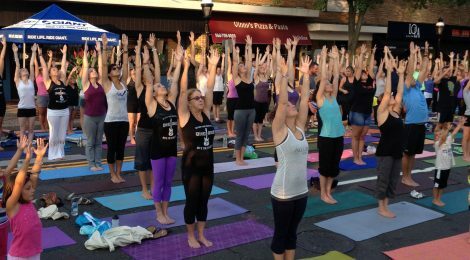 For many people, Cranford’s downtown is a place to live. We’re trying to make it a really beautiful and interesting place to live.